Sober in a Nightclub: The irony is beautiful. First of all, the more of anything one buys the more they SPEND, regardless of whether or not said items are 20% off (or whatever). I figured this out myself simply from having to deal with the plethora of coupons that constantly come through the mail from the stores I routinely shop at. Secondly: The obvious. Credibility Factor of outfit offering the service. 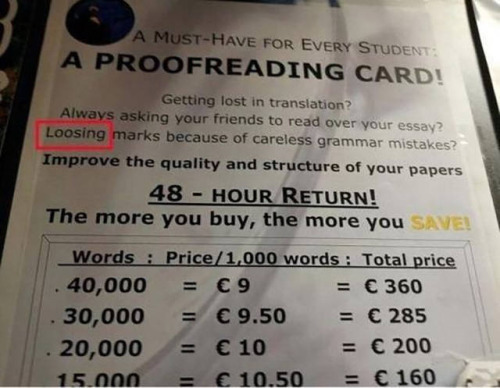 Specifically "loose" (in addition to the "9 for the price of 10" type nonsense).